Use the T&E mechanism to engage preselected target areas at night or during degraded light conditions. Record direction and elevation readings from the traversing bar and T&E mechanism. Record all readings in mils. a. Zero the T&E Mechanism. 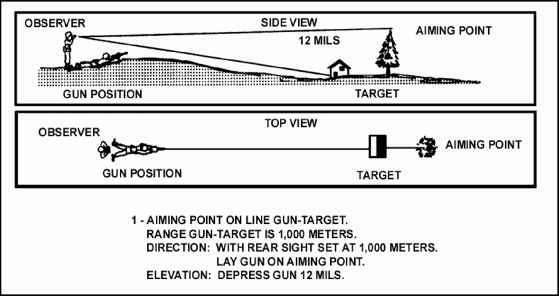 Before the gunner can use the T&E mechanism to engage targets, he must zero it (Figure 4-5). Refer to section 3-2 for more information on zeroing the T&E mechanism.